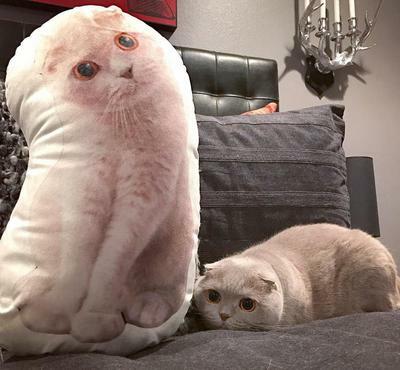 We are the creator of the custom shaped cat pillow. We hand make each cat pillow uniquely for your cat. It's the perfect gift for special occasions, a Christmas gift, or birthday gift. 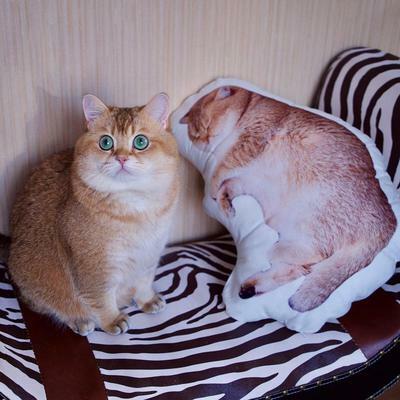 I bought my Kinki cat pillow from Pawjoy before. The quality is great and it makes me laugh whenever I see the doppelganger of Kinki.